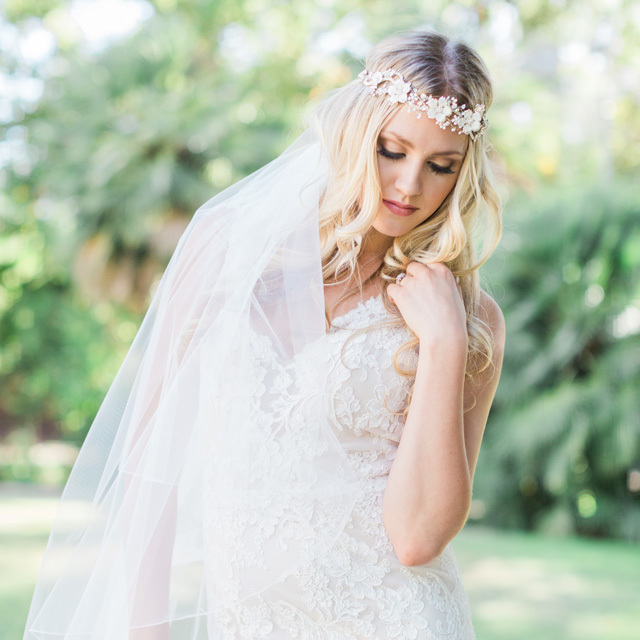 Are you a bohemian bride? A romantic? A modern, trend-follower? A trend-setter? No matter what your wedding look may be, we have ten good reasons to swoon over a gorgeous flower halo or headpiece. A flower halo is super romantic—just like the bridal bouquet. There’s just something about flowers that sets our hearts aflutter. 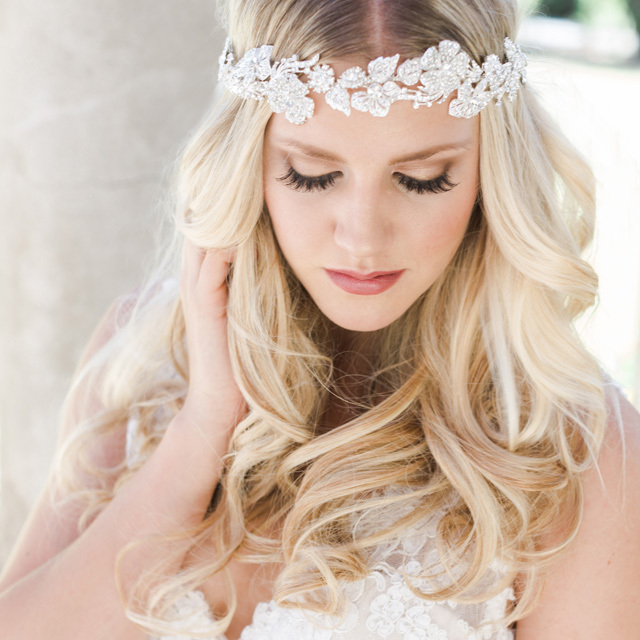 These days, flower halos and tie headbands include sparkling elements like metallic details, crystals, and rhinestones. If you can add a little extra bling to your bridal style, go for it! Flower crowns have been around for centuries. Back in the day, brides wore certain flowers for luck, superstition, or symbolism. A flower halo looks perfect styled with loose, romantic waves. You’ll get photos with flowers all around your gorgeous face, you lucky girl. Flowers are a symbol of femininity—come on, how many guys do you see wearing flowers in their hair? Grace your locks with your favorites. Since flowers are seasonal, many brides wear floral halos during the spring and summer months. This look is gorgeous for a warm-weather wedding. A flower crown doesn’t need much maintenance. You can wear it over a draped veil for dramatic effect or even alone for a light touch of beauty. 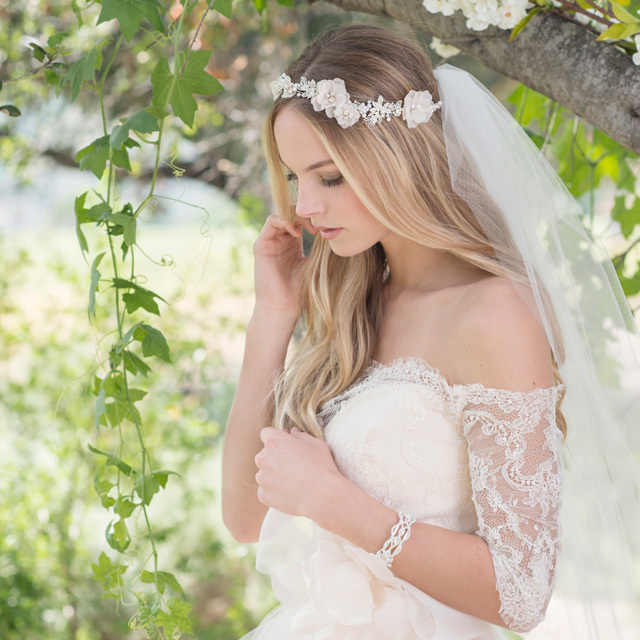 Coordinate your floral headpiece with other elements in your wedding wardrobe. If your gown is soft blush, you can choose a blush-colored halo. If you’re in love with gold jewelry, match a gold halo. Tell us, which flower headpiece is your favorite and why? Previous Previous post: Making pretty things, pretty!